Well, it takes some getting used to for me, because I really do like the title The Numerati. 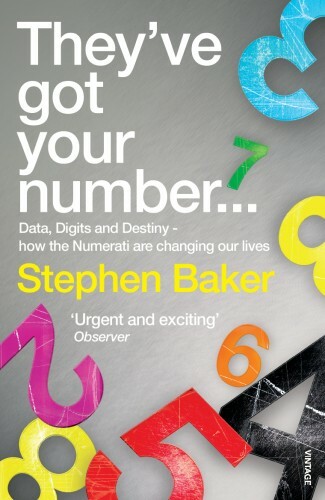 But the British publisher of the book, Jonathan Cape, is proposing changing the title to "They've Got Your Number...", along with the subtitle: Data, Digits and Destiny, how the Numerati are Changing Our Lives. Clearly, they're doing it in hopes of attracting more general interest readers. That's who I wrote it for, so if a different title works better, who am I to complain? I just hope that no Numerati readers will mistake this for a follow-up book. But none will, I'm sure, because they all will have read the blog... Right?